Bengali film actress Supriya Devi died at her residence here early today. The cause was a severe cardiac arrest, Supriya Devi was 85 years old. Born in 1935, Supriya Devi was introduced to theatres by her father Gopal Chandra Banerjee at the age of 7. Supriya Devi was known for her work over five decades. She had made her debut in Uttam Kumar-starrer ‘Basu Parivar’ in 1952 and never looked back after ‘Sonar Harin’ opposite Uttam Kumar in 1959. Supriya Devi was a part of many classic films such as ‘Chowringhee’, ‘Bagh Bandi Khela’ and ‘Meghe Dhaka Tara’ . The actress was awarded the Padma Shri and West Bengal government’s highest civilian award Banga Vibhushan, besides the Filmfare East Lifetime Achievement Award. She is survived by her daughter. 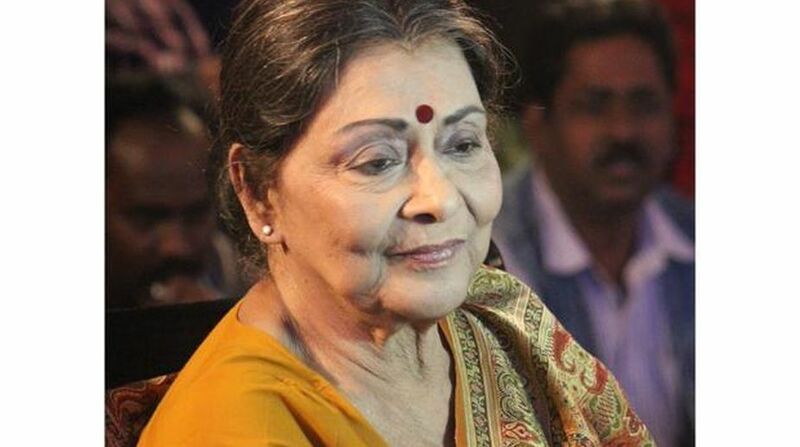 “Very saddened at the passing of legendary actress of Bengal, Supriya Chowdhury (Debi). We will fondly remember her through her films. Condolences to her family and fans,” West Bengal Chief Minister Mamata Banerjee said in a tweet.